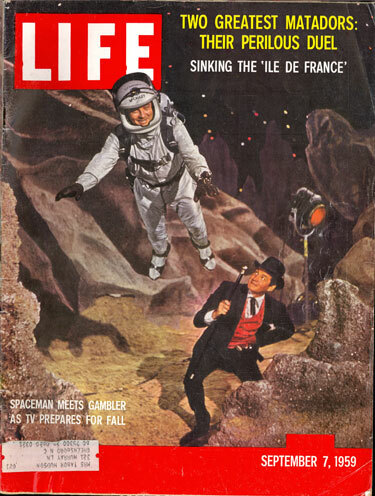 William Lundigan of “Men in Space” meets Gene Barry of “Bat Masterson” for a promotional shot on the cover of the September 7, 1959 LIFE magazine. 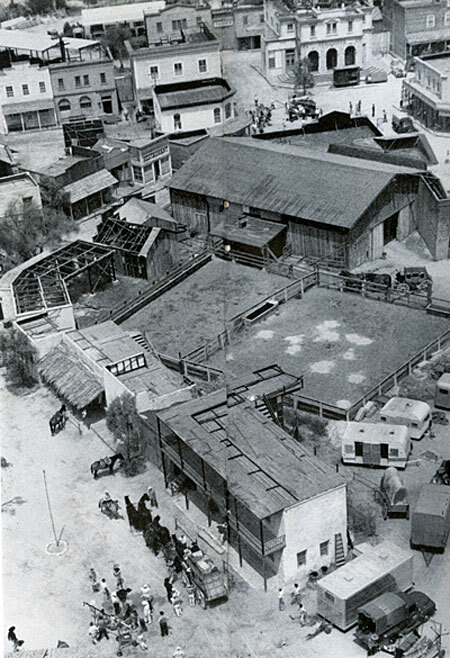 Two TV Westerns filming at the same time on the Warner Bros. backlot. 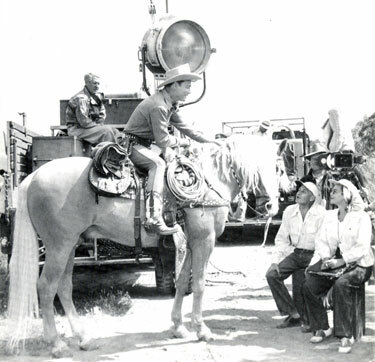 Roy Rogers and Trigger get ready to film another Republic Pictures scene. 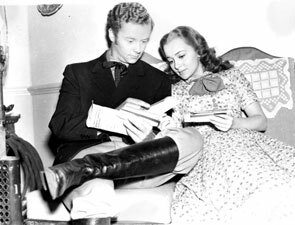 Tim Holt and Olivia de Havilland look over their fan mail while filming “Gold Is Where You Find it” (‘38 Warner Bros.). 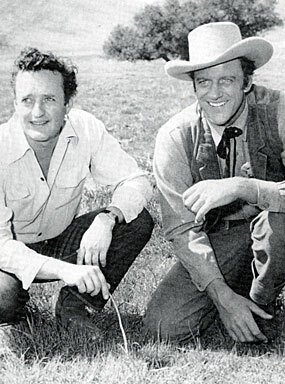 “Gunsmoke” scriptwriter John Meston and James Arness. 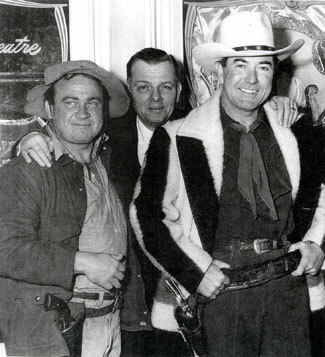 Jackie Gleason enlisted TV’s “Wyatt Earp”, Hugh O’Brian, to headline a circus show on Gleason’s CBS variety program in 1957. 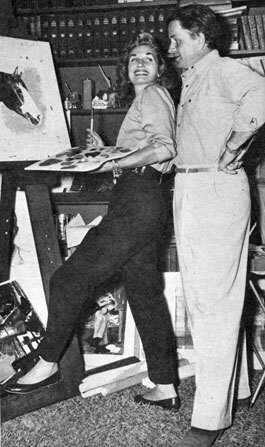 Noah Beery Jr. and wife Maxine, daughter of Buck Jones, at home in 1957. 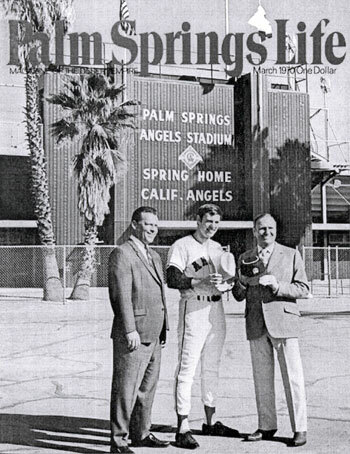 Palm Springs for the first “Telemeter tests” in early 1954. 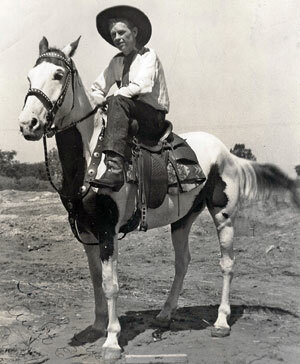 (Telemetry is an automated communications process by which measurements and other data are collected at remote or inaccessible points and transmitted to receiving equipment for monitoring.) 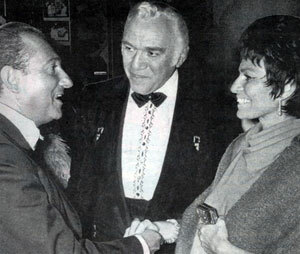 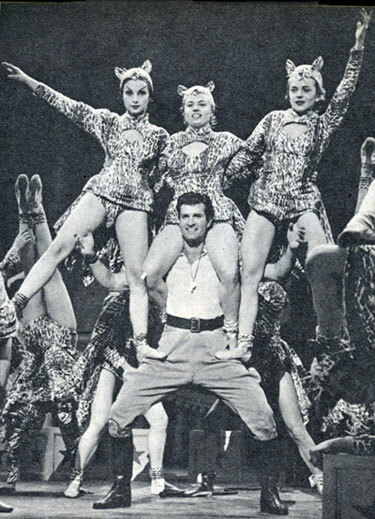 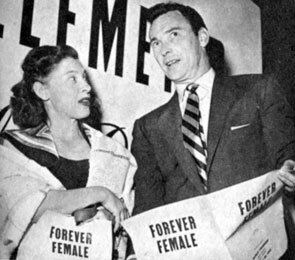 Barry Sullivan later became the star of TV’s “Tall Man”. 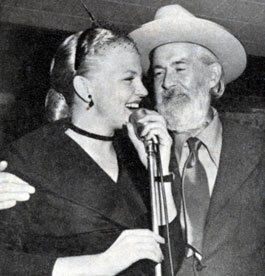 Singer Peggy Lee with Gabby Hayes. 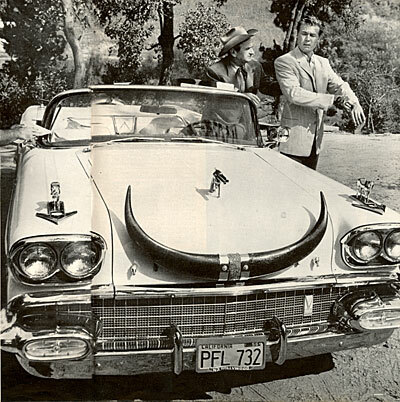 Candid shot while filming “The White Buffalo” (‘77). 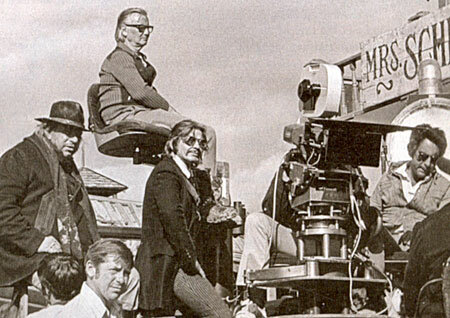 Slim Pickens is on the left, Charles Bronson has on the sunglasses he wore in the film and director J. Lee Thompson is on the high crane. 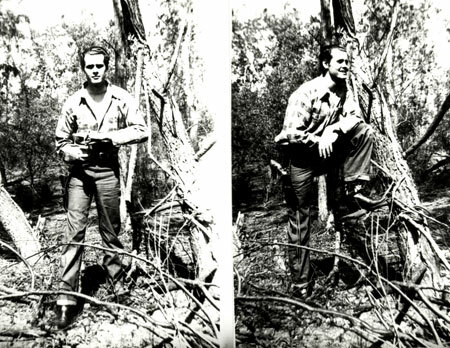 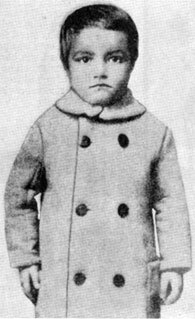 Two early promotional shots Michael Harrison had made of himself before he became Sunset Carson at Republic Pictures. 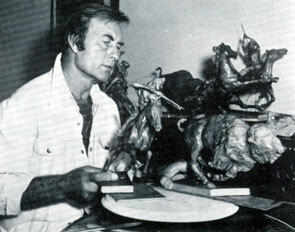 Actor/Artist George Montgomery with one of his many bronze sculptures. 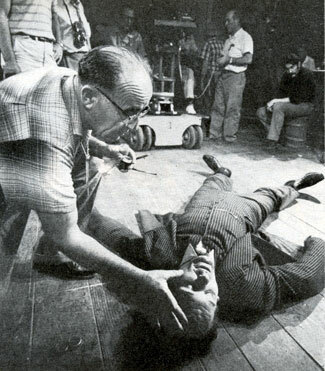 To simulate bruises a make-up man daubs makeup on the face of Robert Rockwell for an episode of TV’s “Man From Blackhawk” after Bob is knocked out in a brawl. 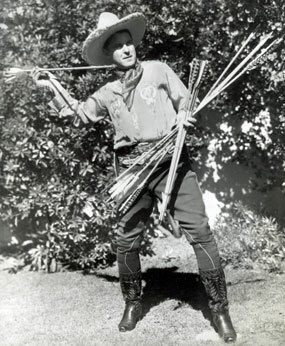 “Huh...guess I really need a bow,” says Ken Maynard. 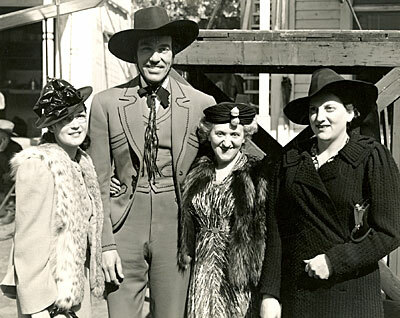 Cesar Romero as the Cisco Kid with three devoted fans in 1940. 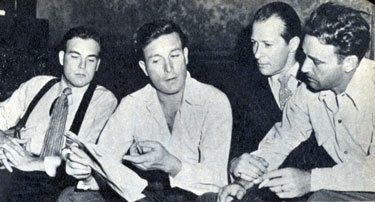 Scott Brady, circa 1945, before he was in the movies, visited a set with his brother Lawrence Tierney (center), actor Morgan Conway and director Gordon Douglas. 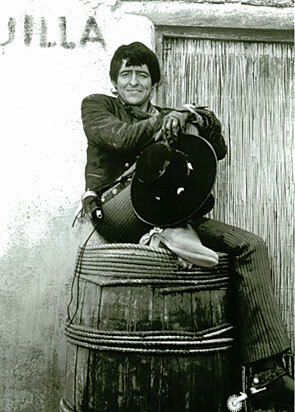 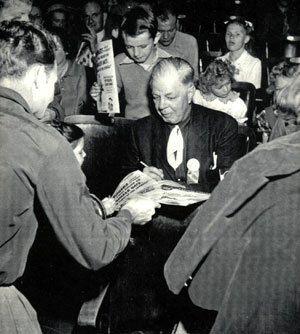 Brady eventually starred in several Westerns and was TV’s “Shotgun Slade”. 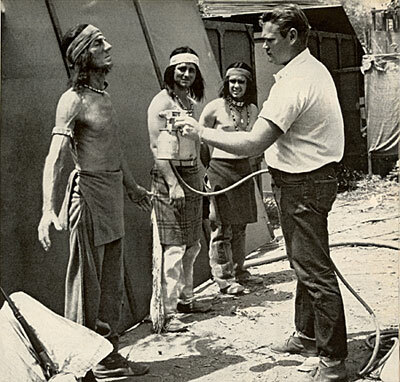 To meet the need for Indians in TV Westerns, paleface actors on “Laramie” become spray-gunned with reddish paint. 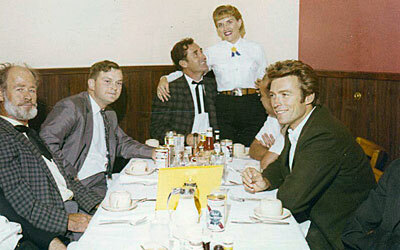 After parking his pistol-packing Pontiac, famed Western tailor Nudie delivers a new jacket to John Smith, star of TV’s “Laramie”.